With a slight chill in the air, we cannot wait for winters to set in properly. And with the cold, comes the craving for garma garam pakore. Hence, you’re going to find us at Sadar Bazar’s Gandhi Ji Pakode Wala this season. Plain, bread, paneer, gobhi and aloo! 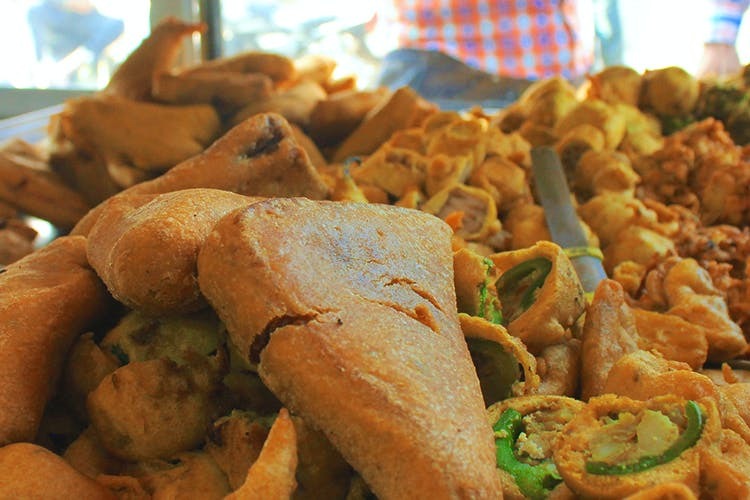 you’re going to get all the varieties of pakoras here. And if you fancy some kachori and samosa, they have that ready too. This tiny shop usually is full of customers and it is clear that the reason behind that are those steaming, crispy pakoras. But even more famed than the pakoras is the green chutney that has a tang of its own. With samosas costing just INR 20 and pakoras starting at INR 280 per kg, this place is the best for that end-of-month cash crunch. With winter coming in and the craving for hot, crispy pakoras growing each day, just land up here.